And quite right too. Clubs are apparently happy to have their shoots advertised for free - its pure laziness, and taking the piss, when they can not be bothered to post results. Uisdean is good enough to give his time. He does not deserve to get hassled about "where is the scores for this and for that. 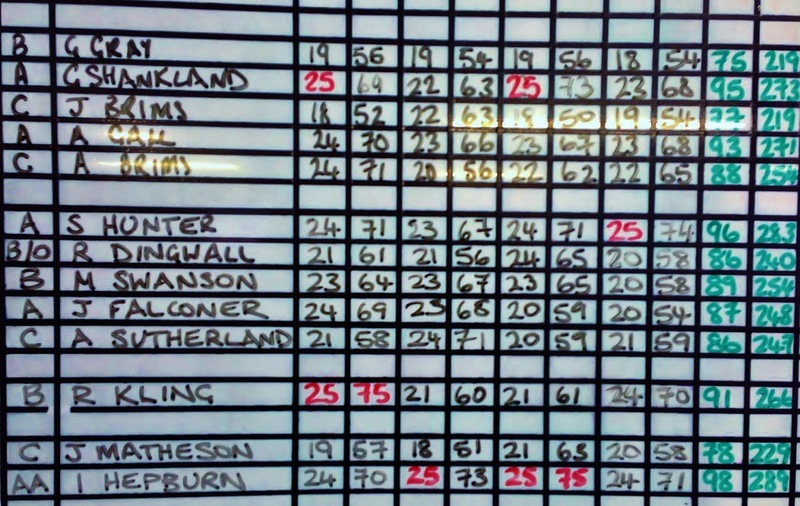 So c'mon you lot get your scores in pronto. It will not hurt you .. honest !! 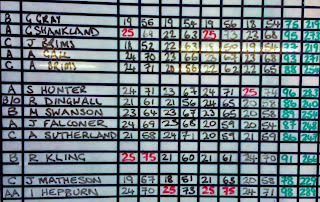 Do not know what has happened to the Armadale Gun Club scores lately, but here is last Sunday.22Guns. Very windy and bitterly cold. This is all very well for you technocrats ( and Alex) with these new fangled mobile telephones but some of us are still working on the red phone box with buttons A & B - its getting hellish difficult to get the pennies and shillings and two bob bits to go in them tho. On a more serious note I hope the guilty parties are taking note because without Uisdean's free advertising interest in their shoots may suffer.